In 2015 we started to sponsor different children's charities each month. 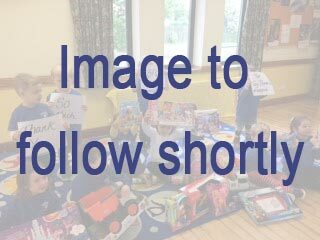 We donated a selection of learning aids, toys and games - with the sole aim of providing items that will make a real difference to many children. Also, each month we gave some well-deserved exposure to the chosen Charity in order to raise awareness of the amazing work that they do and what others can do to support them further. The wonderful people at The Entertainer Limited (www.TheToyShop.com) also agreed to jointly support our pledge which has allowed even more families to benefit with bigger donations. We completely understand that money is tight for a lot of our members and that charity donations are probably hard to justify, but by just offering some of your time this is considered just as valuable. We have tried to choose a range of children's charities that reach across the UK, so we are hoping that some of our members are located in areas close to at least one of them and would consider offering some time to help in fundraising activities. We know that the charities would be very grateful and if it means it helps to support bringing a smile to just one child's face - its worth it. They spent over a year trying to raise funds to take Chelsea to America for potentially life saving treatment. But they sadly ran out of time as the disease took hold of their little girl around June 2009. Chelsea lost her brave fight on 9 August 2009, but before she passed away, her parents promised her they would help other poorly children just like her. 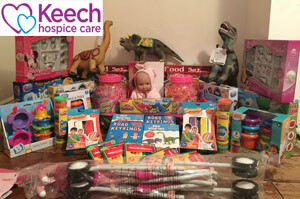 On behalf of all the children and young people who are now and will receive support from the Children’s Bereavement Centre, we are absolutely thrilled and grateful for your very generous donation of a wide variety of toys which will be utilised to help children explore painful events due to a bereavement through the natural medium of play”. This registered charity supports local children and their families affected by death or terminal illness. The unique centre is a central hub that caters for children, young people and their families from Nottinghamshire and parts of Lincolnshire who are affected by terminal illness or death of a loved one. They can access the support and guidance they need during these tough times. 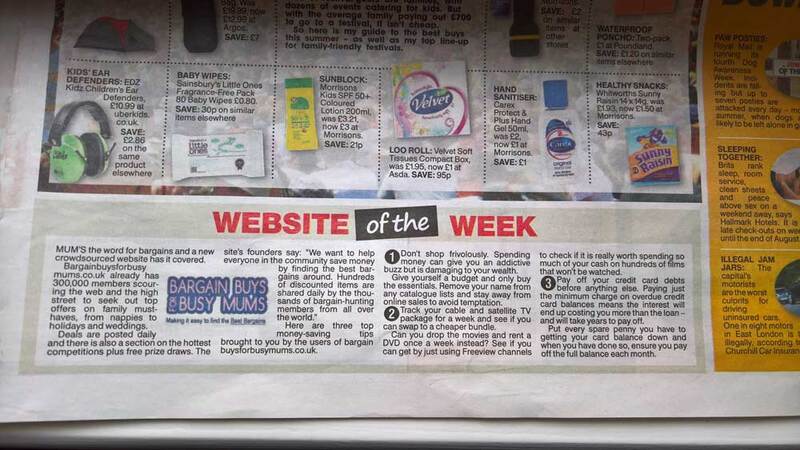 A massive thank you to the team at Bargain Buys for Busy Mums! These amazing items will be sent out as birthday gifts; our members will love them! We cannot thank you guys enough for your kindness and generosity. Inspired by the experience of Army widow Nikki Scott, the charity is dedicated to providing support from the effects of bereavement on young people. There a 3 main programmes that provide key assistance - Smiles, Support & Strides - all with the aim to help the lives of children. 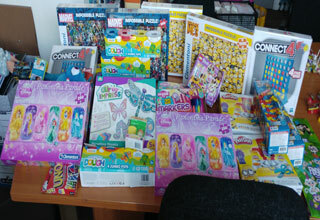 Dear Amanda, Thank you so much for all the wonderful toys you sent us, we really appreciate it. It was a real pleasure working with Dylan. The Hospital itself needs no introduction with it being internationally renowned for the care it provides. But it's not just the remarkable surgeons that make the Hospital so outstanding, it's the care and attention from all of the supporting teams, with the play specialist playing such an important role in the road to recovery. From a hospital point of view being here can be scary time for children so we like to make it a home from home in our playroom. As we recieve no funding and rely on donations, this generous donation is very much appreciated and is sure to make a lot of children feel at ease during their stay here. The children's ward cares for over 3000 children each year with their highly-skilled and experienced team providing high quality care in a friendly environment where the needs of children come first. Both inpatient and outpatient care are crucial for children with medical and surgical conditions. Thank you so very much. 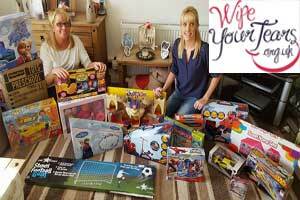 This is much appreciated and the toys are very welcomed as part of our cuddle bag project. Damian McCoy, Chairman of Wipe Your Tears, watched a program about the plight of unwell children throughout the UK and the effects that serious illness has on their loved ones. That television show led to many conversations and ideas on how to help these children. From that moment, Wipe Your Tears was born with their view that if they could make a seriously ill child smile for one minute, they would. Their simple mission statement is: "If you wipe your tears, we will help you smile"
You do such amazing work for charities, thank you for making a difference to the children we care for with life limiting conditions. Experts at providing emotional and practical support for those diagnosed with a life-limiting condition. The adult service provides care for patients primarily from Luton and South Bedfordshire, while their children's service cares for children across Bedfordshire, Hertfordshire and Milton Keynes. Wow! 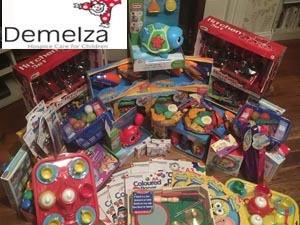 What a great selection of sensory toys – these will be fabulous as presents for our smaller children at our Xmas party and they really do take account of the special needs they have. Thank you so much for for the time and care you have taken to select appropriate gifts. The Bluebell Wood Children’s Hospice is located in Sheffield and it offers care and support to children with a shortened life expectancy. It is a place filled with laughter and love, giving families the chance to relax, take a break and have fun - along with helping support the whole family. There is a team of more than 110 dedicated staff members who provide the best possible care in both their hospice and the community. It felt a little bit like Christmas when I was going through the boxes! An official thank you letter will be sent in the post, thanks again! A range of care and support services are offered to meet individual needs including; short planned breaks in Derian House, Hospice at Home, sibling support group, end of life care and support at home, or in Derian House, and bereavement support after the death of a child. They are currently supporting more than 300 families who have a child with a life shortening illness, and a further 200 who are receiving bereavement support. It really is very much appreciated by everyone at Demelza. Thank you for thinking of us and for all your support, it really is very kind of you. There are two hospices that make up the foundation of Demelza, one in Kent and one in South East London with both providing a large range of hospice and care services to children, young people and their families. One of their aims is to make the most of every moment that the child or young person spends at Demelza. Parents have described having the opportunity of an undisturbed night's sleep as pure luxury. There is also the Demelza Community team that provides a hospice at home service for children in East Sussex and parts of South West Kent. We received the fantastic package today, thank you, thank you, thank you. Absolutely amazing. All items are wonderful. Unlike most of the other charities that we have helped, this is 100% voluntary run, set up after the Halford's lost their 5 year old son, Ben, from a brain tumour. Their goal is to continually try to make hospital environments & facilities better for children and their families whilst they are in hospital, because there is no question that this time is extremely stressful and the time they have is precious! The help is targetted towards the hospitals where Ben received his care; Bristol Children's Hospital, Royal United Hospital Children's Centre in Bath and the Yeovil Hospital. 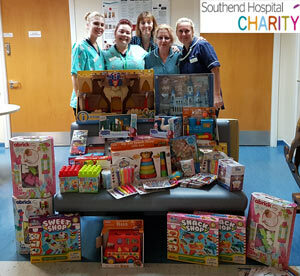 Toys where the focus of this donation in July and we managed to send 4 boxes full. 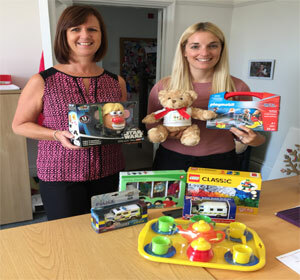 We know that our donation is small when looking at what this hospice needs in order to keep providing their excellent level of care, but it was great to get some positive feedback directly from the team that will be directly making use of the toys. 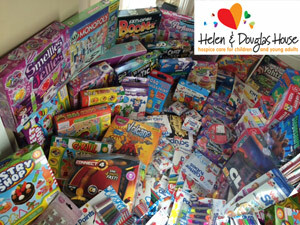 Thank you so much for your very generous donation of toys to Helen and Douglas House! Your gifts will help make a difference to the short lives of very sick children and young adults, as well as to their families. We have had some very positive feedback from our Play Specialists who have said the toys are great and you’ve obviously really thought about what you’ve sent us! 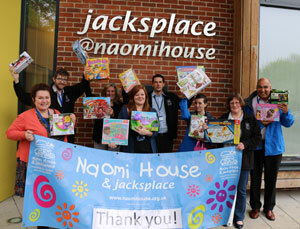 They care for terminally ill children, young adults up to 35 and their families through exceptional hospice care. They provide their astonishing care over a wide area of the UK - across Berkshire, Buckinghamshire, Gloucestershire, Northamptonshire, Oxfordshire, Warwickshire, Wiltshire and also parts of London. They provide medical, emotional and practical support, helping families deal with the implications of living with a child who will die prematurely, so they can make the most of their time together. As a charity they rely almost entirely on donations to support their families. 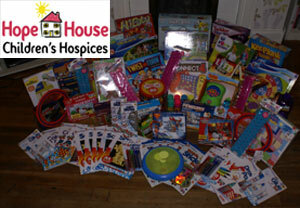 We have received the amazing donation of toys and arts and crafts items for the hospices. Thanks so much again for your support – we are over the moon and so will the children be! 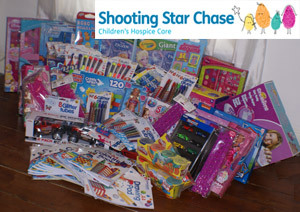 Knowing you are behind our work is so valuable to the babies, children and families supported by Shooting Star Chase. They are a leading children’s hospice charity caring for babies, children and young people with life-limiting conditions, and their families. Whether lives are measured in days, weeks, months or years, they are there to make every moment count. "We're involved in a fight without a happy ending, but the amazing people at this hospice help people cope and families thrive". 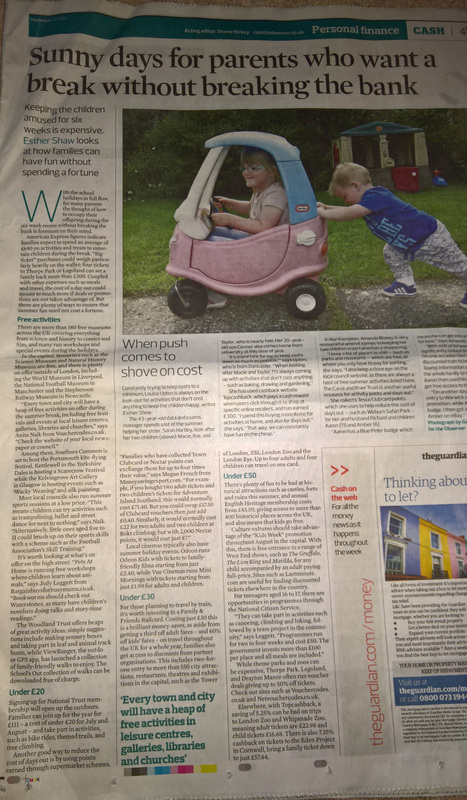 The bespoke support is free of charge to families and available 365 days a year, but it costs £9.5m a year to just maintain their current level of care, so with only 10% of that coming from the government, they rely on supporters to keep the service running. 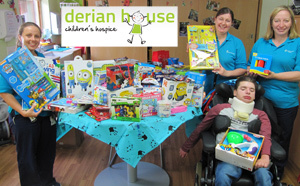 We were really pleased to be able to offer another good collection of games and toys to help this joint Hospice this month. We were humbled by their response and thank you letter! 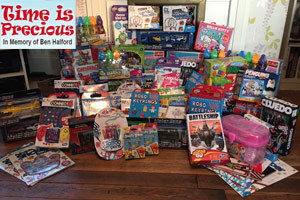 We simply couldn’t believe our eyes when we opened box after box of high quality toys and games. We are so immensely grateful to Bargain Buys for Busy Mums for their incredibly generous donation. The children in our care will spend many happy hours enjoying these very special gifts. These hospices support families from seven counties in southern England – Hampshire, Berkshire, Wiltshire, Dorset, Surrey, West Sussex and the Isle of Wight. They offer a full palliative care service that includes respite, emergency and end of life care for life-limited and life-threatened children and young adults from birth and into their later years. Naomi House provides individualised specialist care and much needed respite for the whole family, enabling them to feel refreshed, rested and supported through the good days, difficult days and last days. They offer a range of services including respite and end-of-life care at their two hospices in Oswestry and Conwy. They also provide support to families at their homes in the areas of Shropshire, Cheshire, North and Mid Wales. Counselling and bereavement support is offered to all children, young people and family members for as long as is needed. Their team consists of experienced doctors, nurses and other care professionals that provide a service that is available 24 hours a day, 365 days a year. 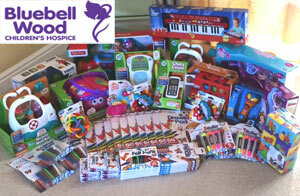 These amazing toys will be fantastic for when the children come into the hospice for the respite sessions. The carers will have some new items to show the children which will be so exciting for all of them! Having a life-limited child is something that can happen to anyone – and when it does, it is absolutely devastating. 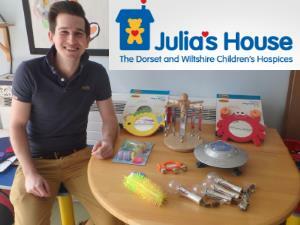 Julia's House, the Dorset and Wiltshire Children’s Hospices exists to help those children and their families, providing life-changing practical and emotional support, in their hospice and in their own homes.